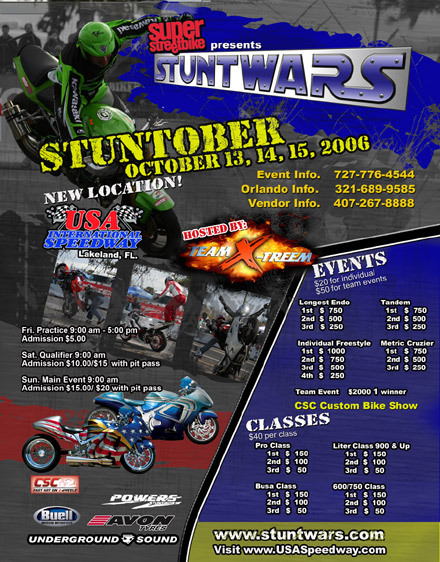 Get ready for StuntWars - Stuntober! October 13-15th Lakeland, Florida. This will be an amazing show with many of the world's top riders in attendance. Don't forget to check out the UpOnOne.com booth while you are there.